A young Scottish male voice over artist with a native Dumfries and Galloway accent. His distinctive, yet neutral Scottish style of delivery makes him an excellent choice for advertisements, corporate video and more. 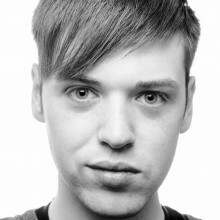 He has a recently graduated with a joint honors degree in Drama and Musical Theatre Performance and has studied Radio and Voice over technique with the Royal Conservatoire of Scotland.